Everyone loves to eat snacks throughout the day when they get hungry. Many of the processed and sugary foods that people eat for snacks can be extremely harmful to oral health. However, there are many snacks that can be very beneficial to the health of your teeth and the appearance of your smile. One of the most loved types of snacks is chocolate. While you might think that all chocolate is bad for you, dark chocolate can actually be good for your health. While you should definitely stay away from other types of chocolate, like milk chocolate, and sticky candies like caramels, the percentage of cocoa in dark chocolate actually makes it healthy. This is because it contains many antioxidizing ingredients like tannis, flavonoids, and polyphenols. 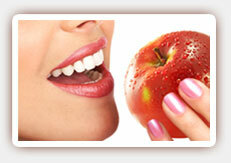 Antioxidants are great for the teeth as well as the health of other parts of the body like your heart. 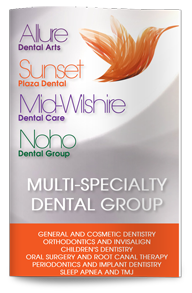 According our West Hollywood dentist, snacks that are sticky and too sugary can be extremely bad for the teeth. They can cause teeth to stain easily and can lead to cavities very quickly. If you want a sweet snack that is healthy, choose dark chocolate. There are many other snacks that can be harmful to your teeth as well. Un-popped popcorn kernels that many people love to chew on can damage teeth because they are hard and dense. Sour candies are extremely bad for your teeth because they contain both sugar and acid which combine to break down tooth enamel and then penetrate deep into the tooth to cause cavities. Other foods that are good for your oral health include raw fruits and vegetables that are high in fiber. These fibrous foods help strengthen teeth and the jaw to keep them healthy and strong for many years.